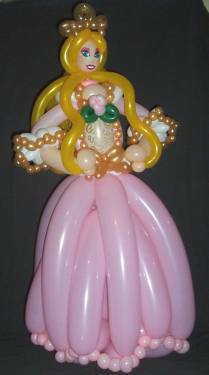 Description: This Princess is made with a 350 skirt, upper torso, and head. Then a combination of 260s and 160s were used to add all the detail. She stands right at 36" tall.